246 p., 18,1 x 25,4 cm. This volume contains Bolzano’s first draft of the ›Wissenschaftslehre‹ (Theory of Science). The essential terms for Bolzano’s semantics, the truth in itself and the objective connection between such truths are introduced explicitly. 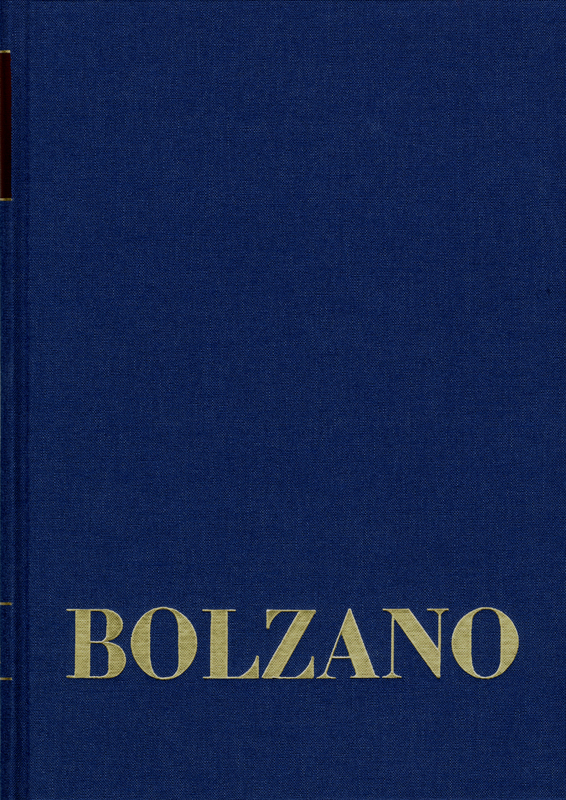 Bolzano’s diaries however not only provide detailed information about the origins and the development of his own terms but are also a comprehensive chronicle of an important part of the general history of ideas.